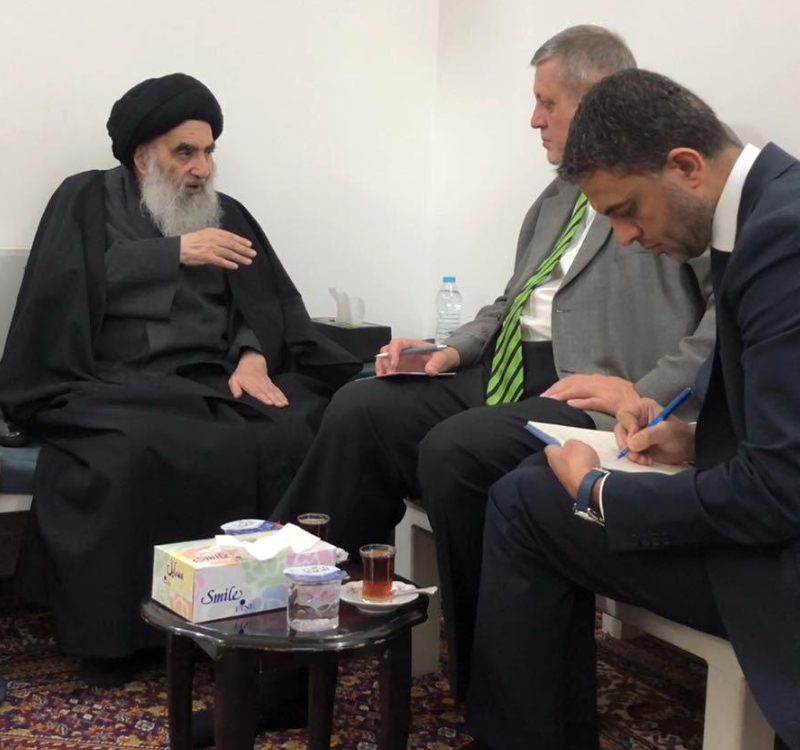 Grand Ayatollah Syed Ali Sistani met Jan Kubis the special representative and Head of the United Nations Assistance Mission in Iraq (UNAMI) in Najaf. His Eminence Sayed Ali Sistani mentioned that the new government faces very big task and he waits to see its success especially fighting corruption, providing job opportunities to unemployed, rebuilding the war-affected areas, returning displaced people to their areas of residence and providing necessary services to citizens. He stressed the need of cooperation between the political blocs in the Parliament with the government and to make real steps in improving the situation. He further mentioned the importance of Iraq’s sovereignty and non-interference by all countries in its affairs.